The Wine Market Council and Nielsen present their annual report on U.S. wine, beer and spirits trends. On Monday, January 25, 2016, the Wine Market Council—a non-profit association of wine producers, importers and other industry experts—together with the Nielsen Company, gathered at the Modern Museum of Art in New York City to present their findings on U.S. consumer wine trends. President of Wine Market Council John Gillespie explored generational trends within the industry, while Danny Brager, Nielsen’s Senior Vice-President of Beverage Alcohol Practice, dissected the 2015’s top consumer trends. Finally, Jennifer Pagano, Wine Market Council’s Director of Research, and Danelle Kosmal, Vice President of Beverage Alcohol Practice for Nielsen, explored the increasing role of women’s purchasing power in the wine industry. Here are some of their top findings. Sparkling Growth is Bubbling Over: The entire category has shown great growth over the last year, but Prosecco, in particular, has brought new buyers into the category, encouraging expanded purchases. Thirty four percent of sparkling buyers added Prosecco to their sparkling mix or previously bought Prosecco but purchased more this year. Thirty one percent of drinkers purchased Prosecco for the first time this year, meanwhile 35% shifted from Prosecco to other sparkling wines. Interestingly, drinkers purchased Prosecco as well as Champagne, throughout the year—not just during the holiday season. Small sales peaks included summer months. Women and Wine: Women comprise 56 percent of the total wine drinking population, which is particularly interesting in the case of Millennials, where women account for 66 percent of the population. Generally speaking, women make 85 percent of all consumer purchases, while earned income increased by 8.1 percent compared to men’s 5.8 percent. And while men represent 67 percent of beer sales, women are increasingly being wooed by wine, which they view as more innovative. Other categories, like cider, are increasingly appealing to this section of the wine drinking population, which responds well to innovation and education. While both men and women shopping in wine shops do so on “auto-pilot,” women are more likely to make purchases while browsing and tasting products, whereas men are inclined towards price comparisons and new products. Growth in Alternative Packaging: While 750-ml glass bottles solidly hold 70 percent of the market, 3 liter boxes and Tetra packs posted the strongest growth, while cans are also attracting consumer attention. At 3.3 percent of the market share, 3 L boxes grew 13.7 and 12.3 percent in value and volume, respectively, while Tetra (only one percent of the market) grew 21.9 and 21.8 percent. Cans—just a tenth of a share—grew by 59.9 and 128.9 percent in value and volume. In the case of 3 L boxes, the category has increased volume sales by introducing new buyers (9 percent of growth) while even premium wine drinkers dived into game, accounting for 44 percent of the growth. Interestingly, a wine’s packaging garners different reactions from men and women, with the latter group generally associating boxes, Tetras and cans with lower quality, although this is changing at a rapid rate. Domestic Wine Sales Continue to Grow: Domestic wines, both within value and volume sales, continue to dominate. Even as California holds the lion’s share of the market, wine drinkers are increasingly turning to Washington and Oregon wines, with the latter experiencing double-digit growth over the last year. New Zealand Showed Greatest Growth: While Italy dominated in total percentage of sales (8.1 percent value sales and 6.3 percent volume sales), New Zealand showed the greatest growth in imports, clocking in at 17.7 and 16.7 percent growth in value and volume, respectively. Consumers are Trading Up: While the value sector of the market is experiencing more growth than volume sales, consumers are trading up. High-frequency wine drinkers, for instance, are still purchasing wines in the $8–$10.99 range, but are increasingly opting for wines costing $11–$14.99, $15–19.99 and so on, with consumers purchasing in the next price tier. This means that consumers are less likely to balk at premium prices, and these price breakdowns are only going to continue growing in the double digits. Millennials Continue to Drive Market: Boomers comprise the base of high-frequency wine drinkers, according to John Gillespie, president of the Wine Market Council, but Millennials are increasingly taking more of the pie. Baby Boomers make up the bulk of high-frequency wine drinkers, at 38 percent compared to Millennials’ 30 percent, but Millennials account for 40 percent of occasional wine drinkers over 31 percent of Boomers. “The youngest Millennials reached legal drinking age in 2015,” says Gillespie, noting not only the challenge of appealing to the generation’s diverse multicultural make-up, but also that of the next generation of potential wine drinkers, iGeneration. “The iGeneration, is just starting to come of age and they are increasingly connected,” says Gillespie. In just two years’ time, Millennial wine consumption has increased by 10 percent compared to only 5 percent growth by Gen Xers and 6 percent decrease by Boomers. To wit, Millennials account for the largest volume of wine consumed in 2015, at 159.6 million cases. While Boomers purchase the bulk of domestic wine, Millennials are more willing to experiment, driving imports of discovery regions like Greece, Portugal and South Africa. And while Boomers are more likely to grab California bottles, Millennials are driving the sales of Washington, Oregon and even New York. Wine Buyers are “Cross-Drinkers”: Now more than ever, wine lovers are dipping their toes in other waters, so to speak. The number of those who drink exclusively only wine dropped 2 percent since 2012, while wine drinkers who also bought beer, spirits and even cider has slowly increased. Wine drinkers who also purchased craft beer grew 7.4 percent since 2012, the largest growth of these “crossover” purchasers. The battle for the next great pour is only just beginning. 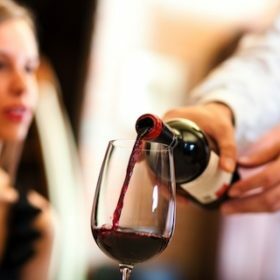 Millennials, in particular, are rabid cross-drinkers: Only 4 percent of Millennials drink only wine, while 40 percent of total Millennials say they drink across all categories several times a year. Beer and Spirits Trends: Brown spirits are experiencing a renaissance, with Bourbon, Irish whiskey, rye, single malts and Cognac all experiencing double digit growth. Amongst these categories, high-end products are leading the way. Meanwhile, new demographics (more women and non-white Hispanics, for example) are entering the market, while retro cocktail trends contribute to growth. Craft beer continues to boom, as do Mexican imports. Cider grew incrementally, with uneven sales all year. “Local” Stories Move Product: Beer and spirits categories have leveraged the “local” angle, attracting Millennials and other consumers with their narratives. Wine has yet to really leverage this position.